I am really chuffed to have this through the letterbox this morning. This superb 144 page book follows on from the hugely successful DL Isle of Wight Motor Vehicles 1896-1939 and is called The Classic Years. 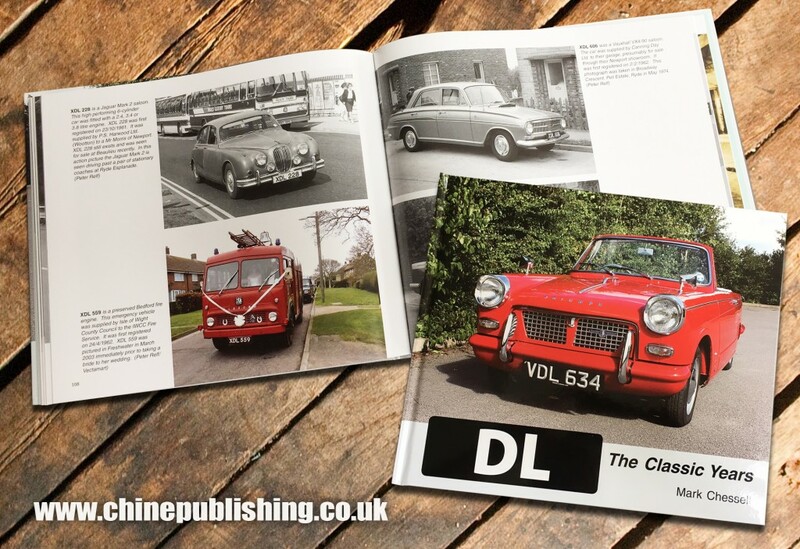 Brilliantly researched by Mark Chessell, DL – The Classic Years covers Isle of Wight registered cars, buses and motorised vehicles from the 40’s, 50’s and 60’s. Inside there is a double page spread on the Herald with a writeup and the actual advert from the Island dealers, Downing and Donovan in Ryde. The dealer/garage itself then features later on in the book complete with new period photographs. I don’t know the other four contenders for the front cover spot but there are over 190 photos inside the book and they really are terrific – so for a humble Herald to be chosen is a real bonus for both me personally and all Herald owners. Brilliant stuff! This entry was posted in 948cc Convertibles, Downing and Donovan, Latest News and tagged Chine Publishing, DL - The Classic Years, DL registrations, Downing and Donovan, Isle of Wight DL, Mark Chessell, triumph herald. Bookmark the permalink.